What are oral motor delays? Developmental Spraxia of Speech (DAS) - sometimes called dyspraxia of speech: Children with apraxia have trouble moving and coordinating the different parts of their mouths in order to form words. Articulation disorders: These include fast-paced speech, lisping, leaving out consonants when speaking and substituting one sound for another. It is important to recognize that there are differences in the age at which children produce specific speech sounds in all words and phrases. 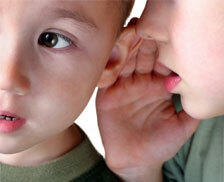 Mastering specific speech sounds may take place over the course of several years. Feeding difficulties: difficulty eating different textures and food groups, presence of a strong gag reflex, Dysphagia (difficulty swallowing) and picky eaters. Oral Sensitivity: Aversion to brushing teeth and chewing.